Calling all boaters! Bring your boat and enjoy the summer on the water. Charming home just a short walk to the Indian River Bay. 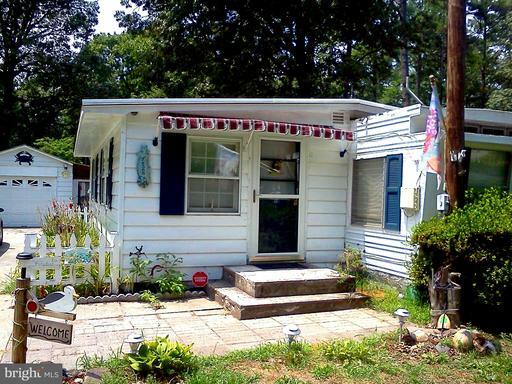 Home offers 3 bedrooms and 1 full bath. Large fenced in lot with mature native trees. After a day on water come home to relax in the screened in patio. Plenty of room for entertaining. Store all of your summer time necessities in the large single bay garage. Lot rent is paid until January 2020. Don't miss this opportunity.